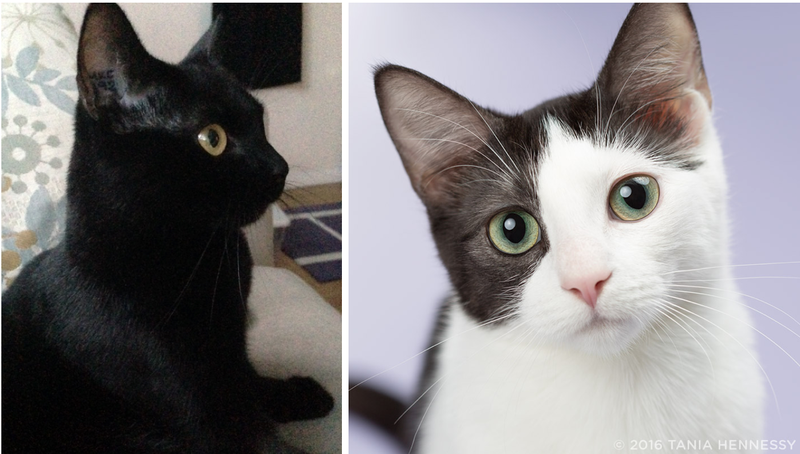 Back in December we told you The Tale of Two Broken Cats & Four Cute Kittens. A lot has happened since then so we decided to check in and see how everyone’s doing today. When we last saw this black and white kitty she’d just been reunited with her kittens and didn’t even have a name yet. Today she’s called Addie and has been living with foster mom Tania since her kittens were adopted in January. 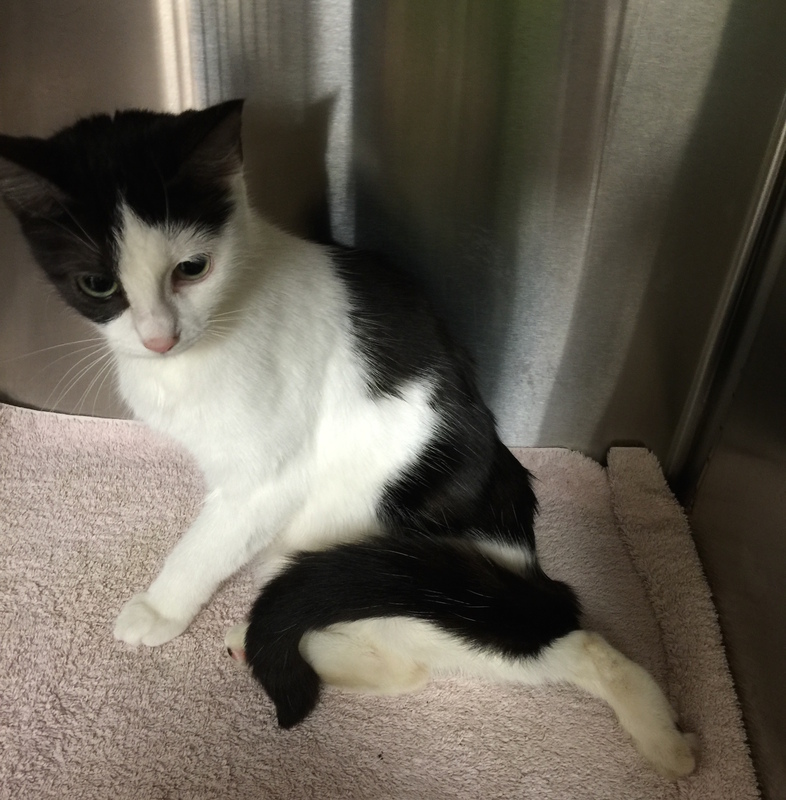 When Addie arrived at VOKRA her left rear leg was sticking out so she was taken to a vet. It was determined the injury was old and it was likely she was born that way. After weighing the options it was decided it would be best for her if the lame leg was amputated. Addie hasn’t let losing her leg stop her and, after making a full recovery, is just as lively as any other cat. Tania says she’s as agile as ever and loves jumping in bed to cuddle every morning. After her first few unhappy days (mostly due to the fact she had to wear a cone!) Addie has been a loving, happy cat and has even put on some much needed weight. Tania has come to know what keeps Addie happy and to help when there’s a spot that needs to be scratched. Addie is loving her foster home and Tania is thrilled to have a gorgeous green-eyed friend to keep her company. 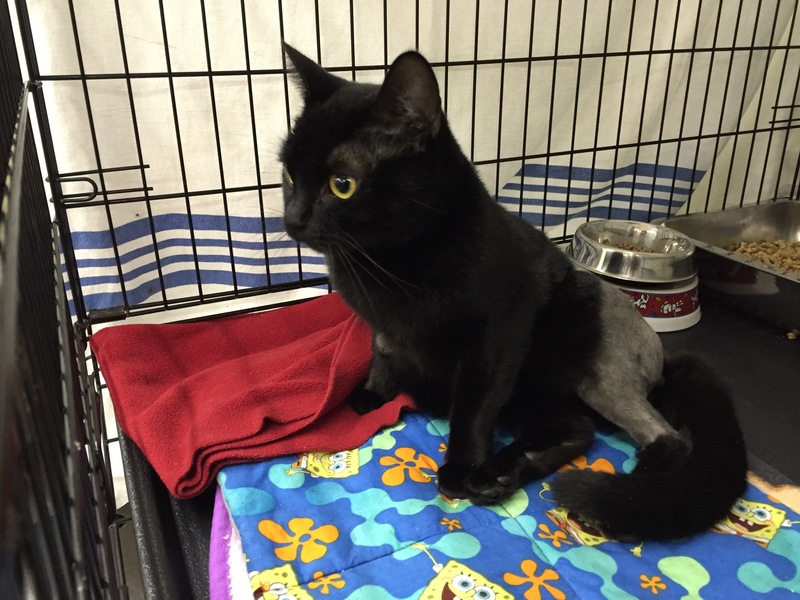 The last time we saw black kitty Gypsy she was hanging out at our Operations Centre after surgery. When she was rescued her left hip bone was out of it’s socket requiring her to undergo expensive surgery. After her initial recovery, she moved in with foster mom Louisa who says she’s in good spirits and has been since day one. “She’s always social and affectionate even with her injury,” Louisa happily tells us. Louisa has been helping Gypsy get stronger day by day and has Gypsy eat her meals at the table where she has to stand on her hind legs. This daily exercise has made Gypsy stronger and she’s now an adventurous cat who loves jumping on the couch and window sill. Louisa and Gypsy love to chill out and watch TV and Louisa is so grateful her foster cat is so sweet and lovable. Addie’s just been adopted and will be going to her new forever home soon! Gypsy will be ready for adoption in the near future so if you’re interested in giving her a forever home please visit vokra.ca/adopt. As a volunteer-driven non-profit, VOKRA relies on the support of donors like you to help rescue more than 1,800 cats and kittens each year. The cost for Addie and Gypsy’s medical care is in excess of $2,000. If you’d like to help us pay for their care, and the care of all the other VOKRA cats and kittens, please donate today at givetovokra.ca.